Who is The Owner of Excel 106.9 Fm Here in Akwa Ibom: Question Answered. 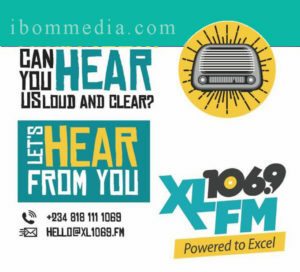 Who is The Owner of Excel 106.9 Fm Here in Akwa Ibom: Question Answered: Read more and see the details of the owner of XL FM Uyo. Our findings on getting to know the proved abortive as it would be let known after the commencment of full broadcast. So bookmark this page and get the latest as it onfolds. its good to know that a great and sound radio station is coming to keep the good people of our state educative , informative and entertaining i really commend you guys for this development as i receive the signal in my area loud sound and clear we hope for you to thrill us with good programmes as we expect more from you .